Lanigan Elementary School hosted a Scholastic Book Fair to get students at the school excited about reading and generate funds for a campaign to kick start the students’ summer reading. Through the ‘All For Books’ campaign the students’ book purchases and small monetary donations were used to buy each student at the school a new book and award a $25 book prize pack to one student and one classroom. 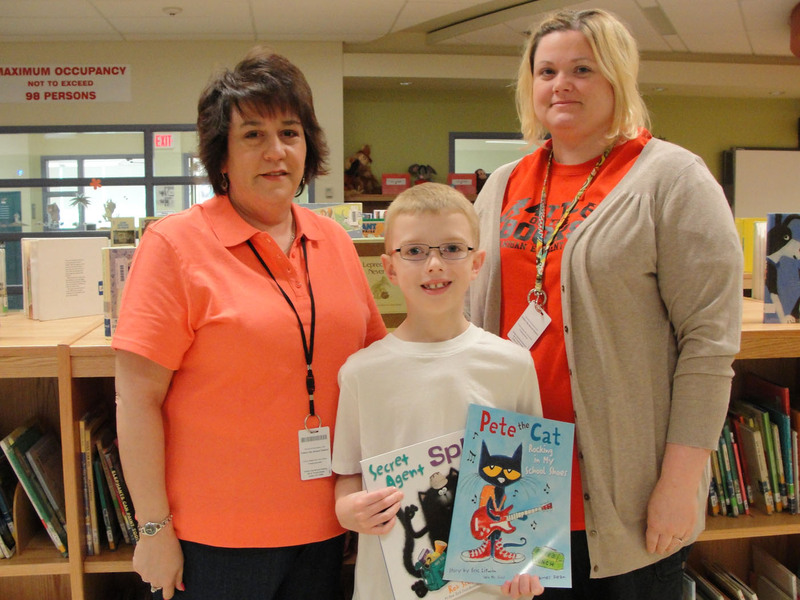 Student Damien Pipe, pictured, was the lucky recipient of the $25 worth of free books and is pictured with Donna Lamb, left, Teacher’s Assistant and Lanigan Parent-Teacher Group President and Jessica Somers, Lanigan Library Media Specialist. Damien is a student in Mrs. Michelle Briggs’ third grade class; Mrs. Briggs received the $25 classroom prize pack of books to keep in her classroom.